Faceboo k contests/sweepstakes have proven to be very lucrative for brands seeking to both grow their email lists and engage with current followers. With ideas ranging from photo to social gaming contests, their are many creative ways to excite your fans and increase traffic to your Facebook page. However, before jumping to your company’s Facebook admin panel, here are a few rules you should know about creating contests on Facebook. 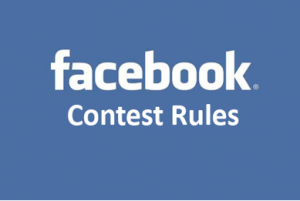 Contests that fail to follow all rules almost always are found out and shut down by Facebook. Companies that continue to break these rules face their complete pages being shut down. Make sure to let Facebook know about the contest via this form https://www.facebook.com/business/contact.php. Sweepstakes/Contests must be administered through a third party agency/software service, either on a Canvas Page or a Page App. Make sure your contest is in compliance with state/regional laws and guidelines for businesses running prize giveaways through Facebook. When running your contests, you must not grant entry to the registration or form upon the user liking a wall post, uploading a photo, or commenting on your Facebook wall. 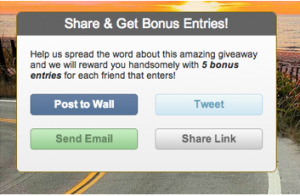 You can however set up like-gating, or suggesting a user like a page to enter your contest. Include an opt-in check box on your contest in order to legally send emails to contest registrants and utilize demographic/email data. Facebook’s like button cannot be used as a voting mechanism for contests or a sweepstake entry button. Facebook messages, chat, or timeline posts cannot be used to notify contest winners. Companies must communicate with winners privately. Since Facebook loves to change their rules and guidelines every season, its best to follow up with their promotional guidelines page for a comprehensive list. As for now, use our handy list when crafting your next social media promotions. This entry was posted in Uncategorized on July 18, 2013 by socialcontests. Having contests on Facebook lets you take advantage of many of Facebook’s features including social sharing and data analytics. Company’s have used Facebook contests to grow their fan base in short time spans and to provide engaging content to their current fan base. If your company decides to run a Facebook contest/sweepstake, here are some necessary tools and tips to transform your contest from a promotional tool to an awesome interactive experience. Combined with Facebook advertising and sponsored posts that drive traffic to your page, Facebook tabs can dramatically increase your fan base throughout the duration of the contest. Tabs are one of the first visual impressions a person sees when they enter your brands page. They also show fans that your brand has greater value to offer other than status updates. Tabs are one of the only items that are static on your page. They will always be seen and easily accessible compared to posts. Make sure your contest tab lures entrants in and captures more fans. This is a must-have feature if you want to reach the highest amount of contest impressions. Approximately 68% of all Facebook users have signed on via mobile. With mobile usage steadily rising, many websites have already redesigned their pages to be mobile friendly. Contest micro-pages should be no different. Mobile-friendly pages end those frustrating pinch and slide experiences involved in all pages which aren’t mobile optimized. Why is mobile optimized awesome? Mobile optimized means greater reach and higher conversion rates from contest entries to Facebook likes. No matter what your company’s prize budget may be, your sweepstake prize should always be relevant to your company and compelling enough to bring the most number of contest entries. 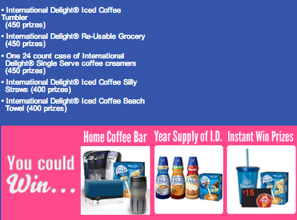 Whether that be a vacation package for a travel company or a home coffee prize pack for a coffee maker company, make sure the value of your prize pack matches up with the amount of effort required to enter. Keep in mind also how your fans react to Facebook posts on current/new products as their level of excitement measured by the number of likes/shares can be used to determine your prize. Why are compelling prize awesome? Contest with compelling prizes give instant boosts of fan engagement on a company’s Facebook page. An alternative to waiting around and spending dollars on Facebook advertising to promote your contest, including Social Sharing widgets to your contest can really reel in those extra fans and save your company a lot of money on promotion. Encouraging fans to share the contest through Facebook, Twitter, Email, or any other social media channel adds another level of reach for your contest. Why is encouraging virality awesome? Rewarding fans to share causes lightning fast signups and more positive associations with your brand. This entry was posted in Contests & Sweepstakes, Facebook, Mobile on July 18, 2013 by socialcontests.